Today’s project was Faux Sea Glass. I only had this pin for reference with the caption stating to use Elmer’s School Glue and food coloring. I had no idea how many coats to apply, so I only did one (though I think, in the end, it needs a second). 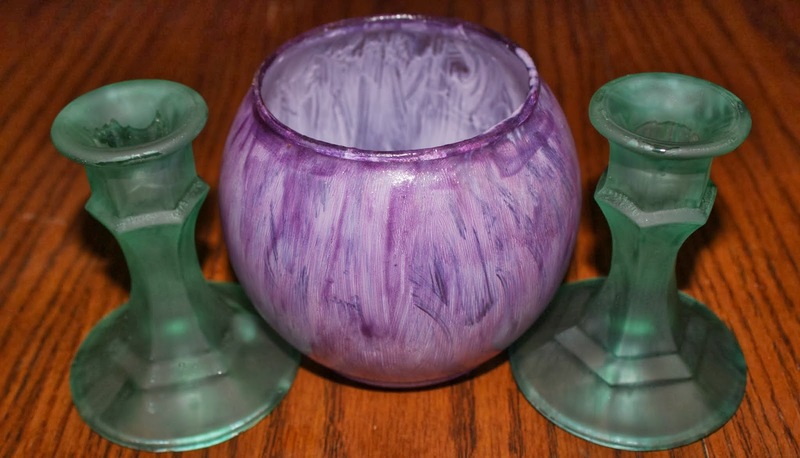 My supplies included dollar store candlesticks and vase, foam brushes, Elmer’s glue and McCormick food coloring. 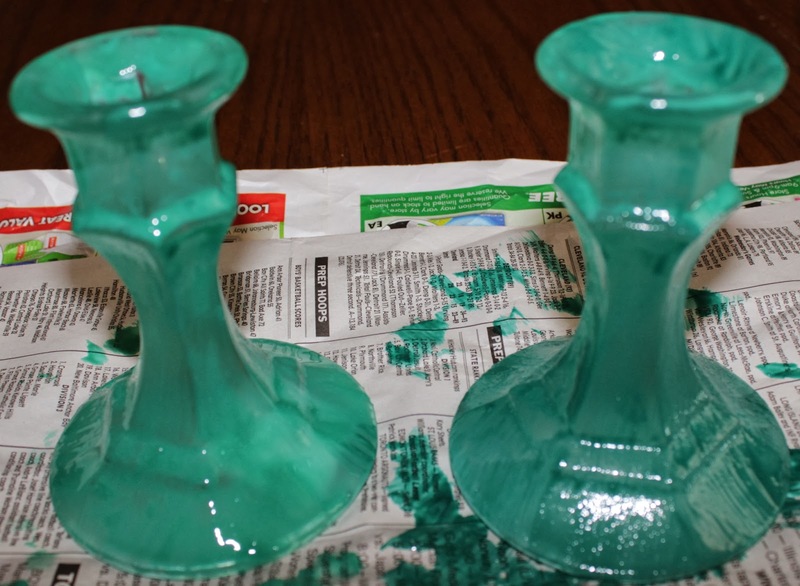 I decided to go with teal on the candlesticks and mixed it into the glue. 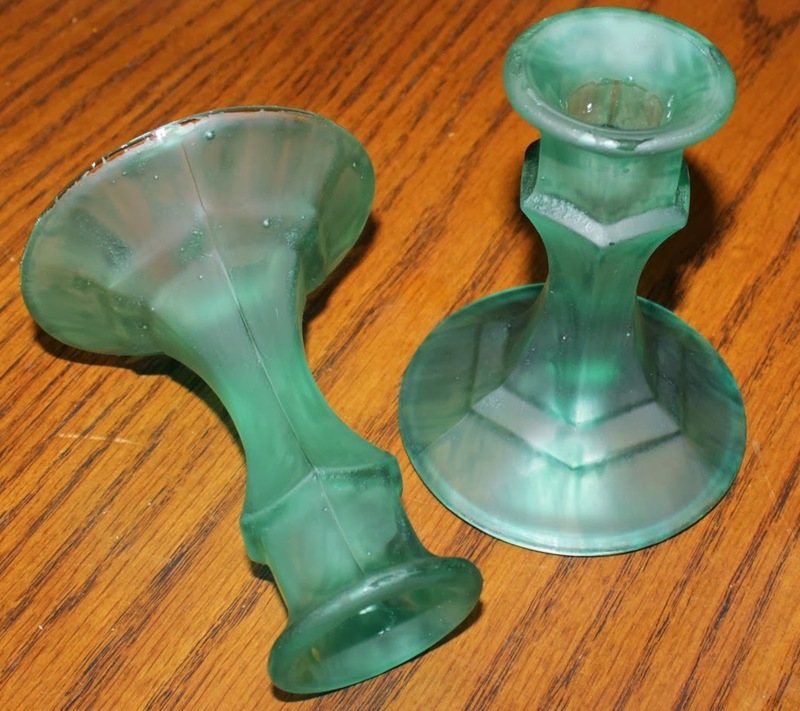 I didn’t have quite enough glue (nor do I have an exact measurement) so I did have to make a bit more halfway through the second candlestick. 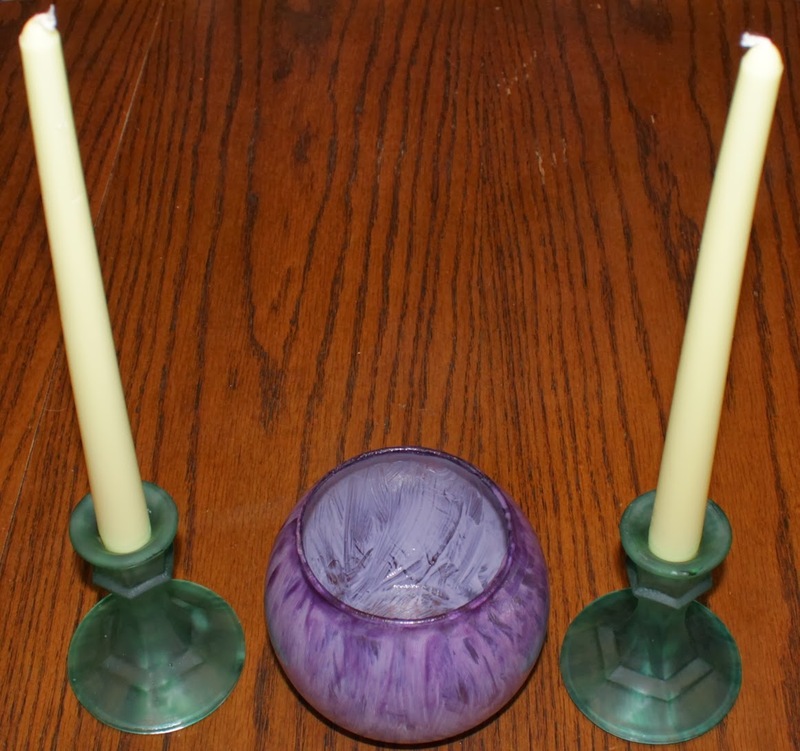 Here’s the candlesticks after it was all applied. I found that it was easier to apply from the top down, since you can brush the glue onto the base without holding it easier that you can onto that beveled top. This is after it dried. I think it would benefit more from a second coat. Here’s it held up against light. You can see that it’s definitely not a “solid” appearance and is more streaky. 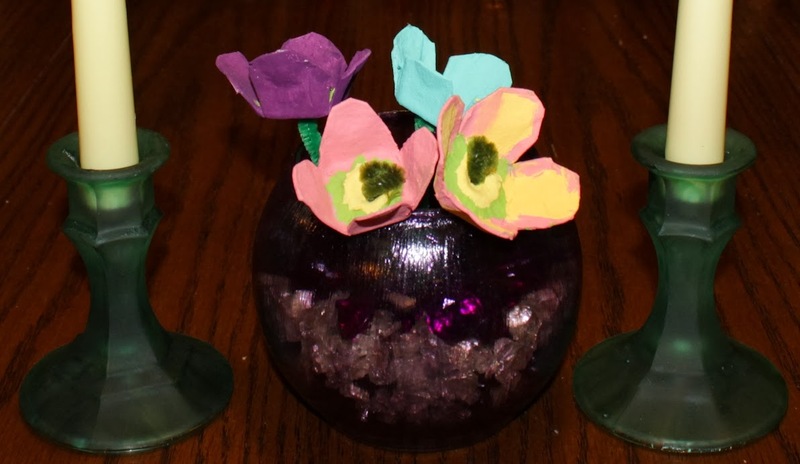 For the vase I decided to be a bit crazy and see what would happen with Mod Podge and food coloring. Wet on the left, dry on the right. I actually wish I had left it at this point; it was an awesome effect. I got a bit sloppy applying the second layer to get it done before a meeting and this is how it turned out. It’s kinda cool, but being overly critical of myself like usual I can tell the parts where I was messy around the rim, and I’m not a fan of the brush strokes on a second coat. At this point I think I’d rather do a Mod Podge application over Elmer’s Glue, but leave it at a single coat. 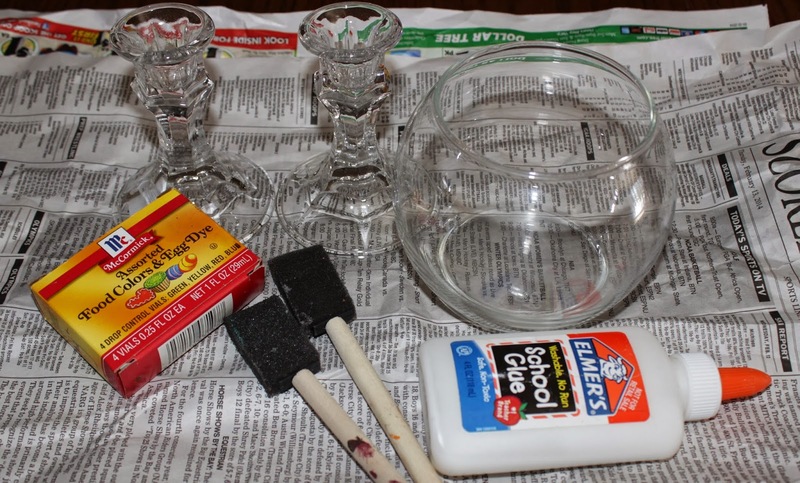 Elmer’s Glue is labeled as “washable”, so cleaning it off would likely yield a mess. I plan on applying a polyurethane spray once the weather warms up (that stuff is terribly stinky!). Either way, they’re fun DIY decor! Tomorrow’s project is an Embroidery Floss Wrapped Cord! 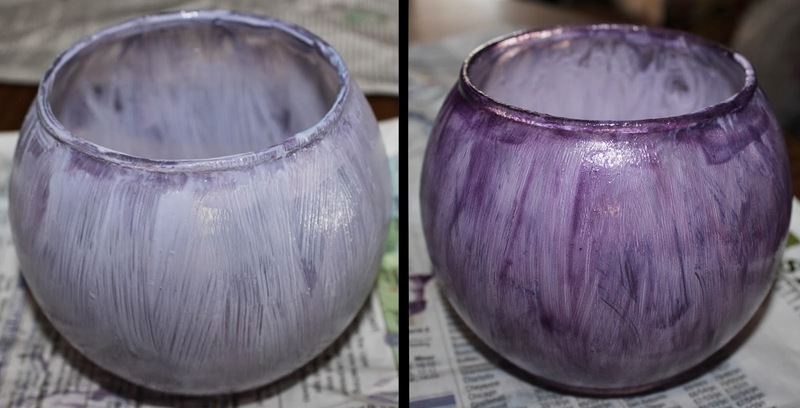 UPDATE: After the vase sat for another day, the color became opaque again, as seen below!